Home Informations Guides and Advices for Chihuahua The Health of Chihuahua, Guide and Advices. Chihuahua are very delicate animals and require constant care. Given their reduced size, one might think that it is easier to take care of them, but on the contrary, for this very reason, they are more susceptible to certain issues. These can be related to eyes and weight (risk of obesity). However, if you take the right precautions and take care of them, Chihuahua can live up to seventeen years. When you decide to welcome a new family member, it must be understood that this will lead to frequent checks by the vet. Bringing your Chihuahua once a year to do this visit is the first step to keeping an eye on his health. Once the Chihuahua is adopted, especially in puppies, you must always know if all the correct vaccinations have been given. In the event of a negative response, it is appropriate to contact a veterinary expert to solve the problem. The most common vaccinations are those against distemper, infectious hepatitis, rabies, intestinal parasites and tapeworms. These, and many other problems, are common in puppies, so be careful in this delicate phase, so as to prevent diseases that might also be the cause of their death. A proper nutrition of Chihuahua is a fundamental point in their health, especially with regard to this breed, because as already mentioned, if fed more than they should, then they easily tend to put on weight, which could seriously affect their health. It is therefore better to prevent them by giving them the right amount of food and aiming for good quality. For more information on feeding your Chihuahua we recommend reading this article: Chihuahua Food, Guide and Tips. Taking care of their cleaning is another aspect to which we must remember to pay close attention. Brushing them often (at least once a day in case of long hair Chihuahua) will prevent the formation of knots and of a dull appearance. 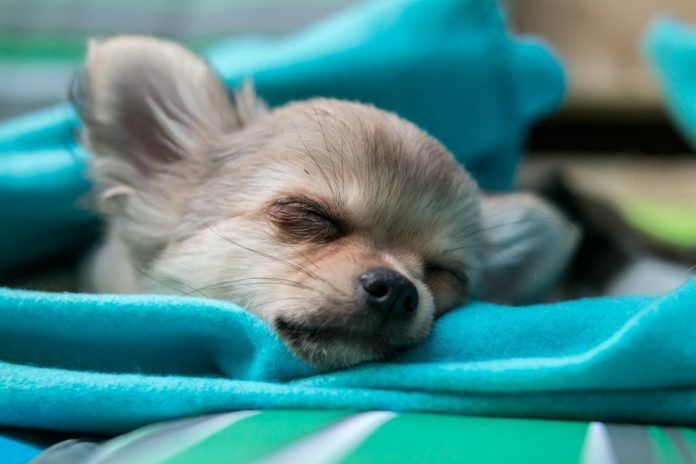 For more information on hygiene for your Chihuahua, we recommend reading this article: Chihuahua Bath and Hygiene, Guide and Tips. First we talked about the high risk of the Chihuahua obesity, but this is not the only problem they face. A commonly occurring disorder is the one commonly referred to as a “fountain”. It refers to a part of the skull where the bones have not completely joined, causing greater risk for head trauma. Another problem is the one related to the eyes. Because of their size, it is very likely that they suffer more or less severe lacerations, so you must be well aware and always remember that you have to deal with a very delicate and fragile dog. For more information on Chihuahua disorders we recommend reading this article: Chihuahua Pathologies, Help and Advice. When it comes to old age one has to pay particular attention to nutrition by changing it with the special foods for older dogs. In addition, a walk always does well, remembering, however, that a dog of a certain age tends to get tired more easily, so it is always better not to exaggerate! Previous articleFertility and coupling of Chihuahua, Guide and Advices. Next articleWho it was to do it in the kitchen? Chihuahua framed by his best friend.